IVC filters or blood clot filters are devices that are surgically placed in a vein called the inferior vena cava (IVC) to prevent blood clots from entering a person’s lungs. The device was designed with several prongs, which are intended to catch clots, preventing them from developing further in the body. However, the FDA has received hundreds of complaints about these products. 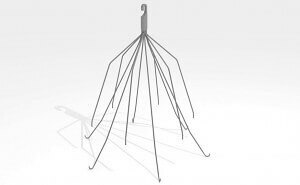 In 2015, an investigation into IVC Filters found that at least 27 people had died as a result of the spider-shaped medical device. Many others were seriously injured. Despite the known risks and side-effects, these devices are still commonly used by surgeons in the United States. An IVC Filter lawsuit has been filed in an attempt to remove these products from the market and make them safer for patients who may require them. If you or a loved one has suffered IVC filter complications or painful IVC filter side effects, you may be able to receive compensation for your injuries. Contact an experienced IVC filter attorney here for a FREE consultation. If you or your family has suffered due to IVC filter complications, you do not want to miss an IVC filter lawsuit deadline. Contact our team today for a FREE case evaluation.